Dr. Imho Bae is a distinguished alumnus of the College of Education and Human Development, earning his doctorate in social work in 1991. He is a leader in the field of conflict resolution, an international scholar, and dean of the College of Social Sciences at Soongsil University. Dr. Bae is considered a pioneer in the field of social welfare. He is South Korea’s best-known scholar in the field of correctional welfare and a leader in the country’s social welfare academia. 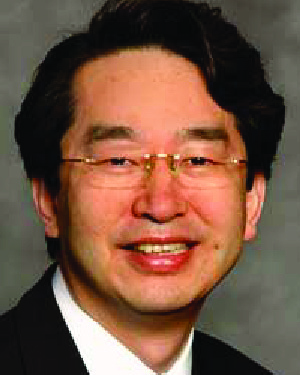 Dr. Bae is known for his devotion to working for peace throughout the Korean Peninsula. Dr. Bae’s academic work has been highly influential. He is the author of 20 articles and eight books related to correctional social work and conflict resolution and is a leading expert in the area. His dissertation, “A Survey on Public Acceptance of Restitution as an Alternative to Incarceration for Property Offenders in Hennepin County, Minnesota,” has been the precursor to many studies and change efforts to address peaceful resolution of disputes in fields ranging from prisons to international relations. Dr. Bae’s research in correctional welfare spans both the adult and juvenile fields. This rare expertise has resulted in invitations to lecture at professional conferences and meetings throughout the world. Officials in the Korean justice system often seek Dr. Bae’s advice and counsel on important policy and practice. Additionally, he was a founding member of two important professional organizations and he continues to serve on a number of boards and committees of professional organizations and universities internationally, including in North Korea and China. All of his academic and professional accomplishments have prepared Dr. Bae for possibly his most important role: peace-maker on the Korean Peninsula. A strong believer in the power of dialogue, he is as an expert in “track two people-to-people” diplomacy—an effort to bring peoples together from countries that have experienced conflict to prepare the way for restoration of peaceful relations. Dr. Bae has assisted in developing the first efforts for track two diplomacy between the peoples of North and South Korea. He was awarded the Great Contribution Award by the Korean Minister of Justice in 2006 for his work around Korean restoration. Dr. Bae is proud of and grateful for the education he received at the University of Minnesota and the University’s School of Social Work faculty who were international leaders in restitution, victim offender relationships, and alternative dispute resolution. He was inspired by the faculty as well as leaders in the local community to pursue an academic career and become an international expert. In naming Dr. Bae a recipient of the Distinguished Leadership Award for Internationals, the selection committee cited his ongoing efforts as a teacher, scholar, and peace-maker. His continued behind-the-scenes efforts to push for additional reconciliation efforts between North and South Korea is a valuable contribution to global peace-making efforts.